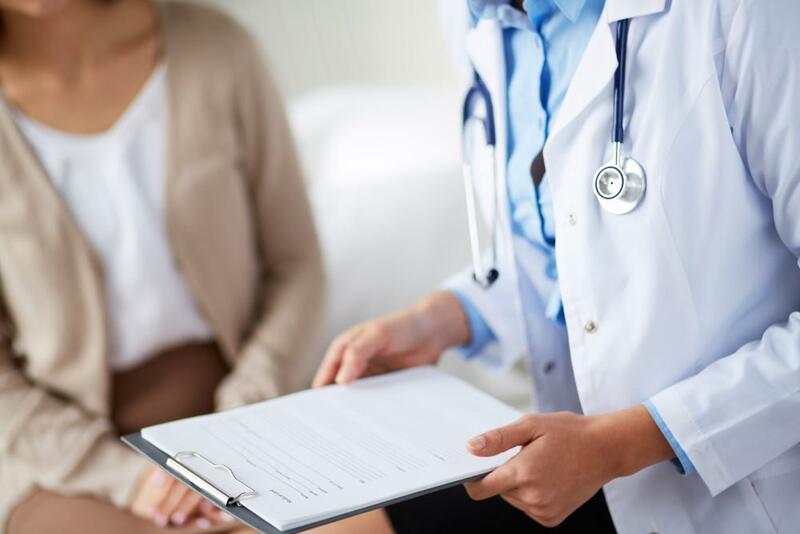 If you’re like many women, you probably only visit your doctor when it’s absolutely necessary, like when you have an infection, the flu, or another issue that needs immediate attention. But the fact is, if that’s your approach to healthcare, you could actually be leaving yourself open to greater risks for disease and other medical problems that could be avoided if only they were detected and diagnosed earlier. And that’s where well woman visits can make a big difference. Well woman visits start with a review of any symptoms or medical concerns you might have. Then Dr. White performs a series of exams designed to obtain a general overview of your health and wellness. These exams and tests can vary depending on your age, your medical history, and other factors. Some of the most common tests include blood pressure readings, an exam of your heart and lungs using a stethoscope, a breast exam, and a brief checkup of your belly using gentle palpations to check for tender areas. You might have a Pap test too, depending on your age and how long it’s been since your last pelvic exam. Beyond the physical exam, Dr. White typically orders blood tests to look for signs of infection and to check your cholesterol and blood sugar (glucose) levels. He might order other tests too, like those to evaluate how well your liver and kidneys are working. Sometimes, additional blood or urine tests are ordered based on the results of the physical exam or to address concerns or symptoms you may be experiencing. Once your exam and lab work are completed, Dr. White will review all the results and make recommendations to you based on your specific health needs and risk exposures. Because those risks and needs can change — often dramatically — from one year to the next, having an annual well woman visit helps ensure your healthcare is always optimized for your needs so you can continue to enjoy the best possible health no matter what age you are or what stage of life you’re in. For instance, your visit might include guidance on birth control, sexually transmitted diseases, preconception counseling, or menopause care, depending on where you are in life and your lifestyle choices. Beyond that, the tests and lab work you have can also vary based on your age and medical status. Because women’s medical needs can change so dramatically over the course of even a year or two (often much more dramatically than men’s health needs), skipping one or more annual exams means any underlying disease or disorder has a “head start,” making treatment more difficult — and more costly. And of course, seeing Dr. White every year supports a level of trust that can make it a lot easier to discuss even the most sensitive medical and health issues so you can feel relaxed and confident — and in control — of your care from one year to the next. Think about it: When you feel comfortable talking with your doctor and confident your doctor knows and understands your unique health needs, you feel a lot more invested in your care and your wellness, and you're also more motivated to make important lifestyle changes that can help you stay healthy as you age. By seeing Dr. White for a well woman visit each year, you have plenty of opportunity to talk about your concerns and make sure your care stays on track with your evolving needs and lifestyle changes. Annual well woman visits are an important part of staying healthy, especially as you get older. If it's been a while since your last well woman visit, don't delay: Contact the practice and schedule your visit today.